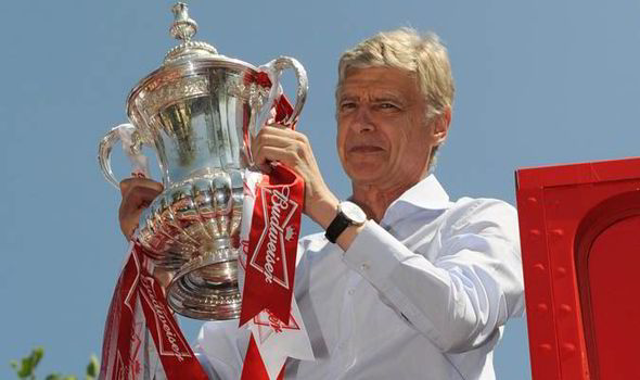 Holders Arsenal will be strong favourites when they take on Aston Villa in the FA Cup final at Wembley on Saturday. It seems Mesut Ozil has taken a liking to Aston Villa. Arsenal’s creative playmaker has already scored home and away against them in the Premier League this season, the only team against which he’s achieved that feat in his two seasons at the Emirates Stadium. Villa will have to be particularly watchful of the German on Saturday as he could well find the space he craves in the wide open expanses of Wembley. The Gunners finished 13 places above Villa in the Premier League table but that will count for little at the weekend. Manager Arsene Wenger has a number of selection decisions, such as whether to field goalkeeper Wojciech Szczesny and forward Theo Walcott from the start. Also, Welbeck will miss out due to injury. Shay Given is set to be fit for Aston Villa’s first FA Cup final in 15 years after returning to training following a groin injury. Provisional squad: Guzan, Given, Lowton, Hutton, Senderos, Bacuna, Vlaar, Okore, Baker, Richardson, Cissokho, Delph, Cleverley, Westwood, Grealish, Cole, Sanchez, Gil, Sinclair, N’Zogbia, Benteke, Weimann, Agbonlahor. As we know, Villa will give it a good going ahead of the clash, on the other hand, the Gunners will want to add more silverware to their trophie cabinet. 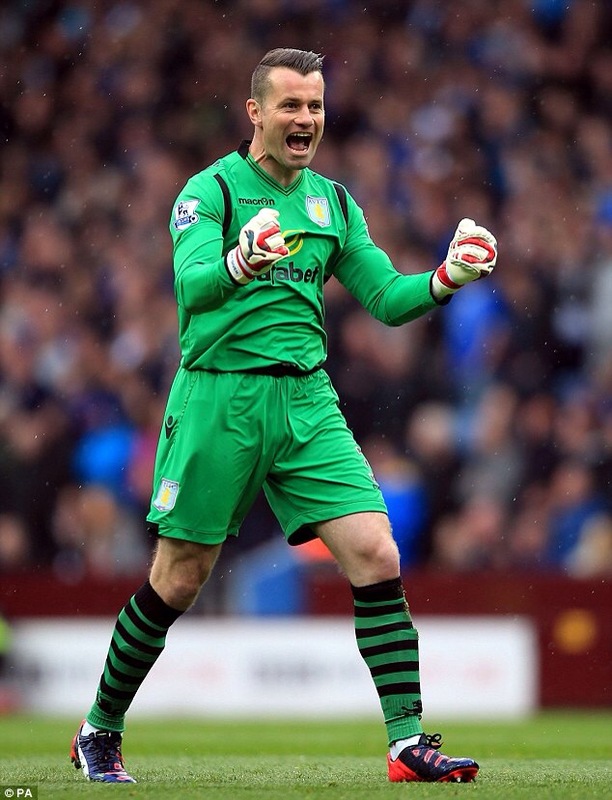 Aston Villa have kept just two clean sheets in their last 21 FA Cup matches. Aston Villa have played in the FA Cup final 10 times, winning seven. They last won the FA Cup in 1957, beating West Bromwich Albion (in the semi-finals) along the way. This will be Arsenal’s 19th FA Cup final, a record for any team, and have won a joint-high 11 FA Cup finals. Olivier Giroud has scored seven and assisted four goals in his 13 FA Cup appearances, and has scored in each of his last three games against Villa. Each of the last three times Arsenal have faced second tier opposition in the semi-final they’ve gone on to win the trophy (1998, 2003 and 2014). 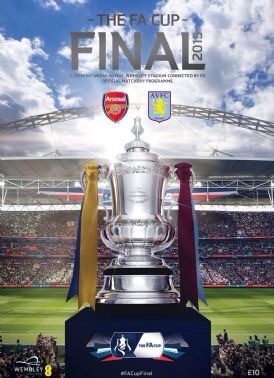 Only George Ramsay (6 with Aston Villa) has won the FA Cup as a manager more times than Arsene Wenger (5). Arsenal and Aston Villa have been drawn together 10 times in the FA cup with the Gunners winning seven and the Villans three. Overall there have been 13 matches with three draws. 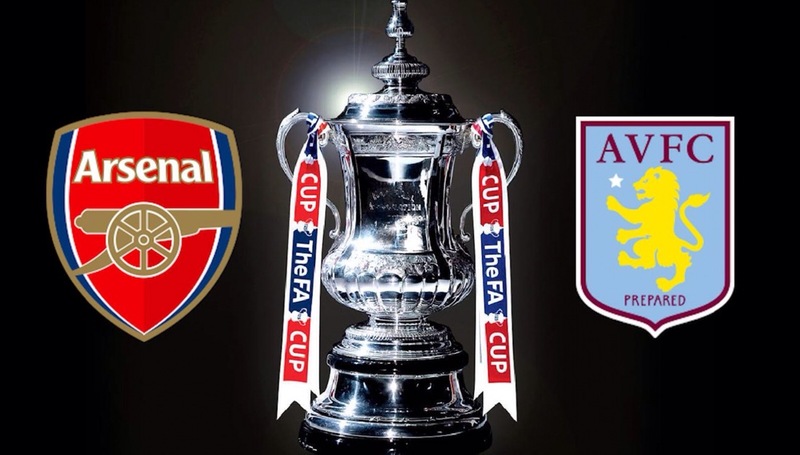 The last FA Cup meeting between these two sides came in 2012 when Villa led 2-0 at half-time only to see the Gunners overturn the deficit in a seven minute period in the second half to record a 3-2 win. Arsenal have won 22 and lost just three of the last 34 matches in all competitions against Aston Villa (W22 D9 L3). All three of those defeats came at the Emirates. Christian Benteke has scored three goals in his last three appearances against Arsenal. Danny Welbeck has scored four goals in his last four appearances against Aston Villa. But he will not be playing Saturday’s final- due to injury. 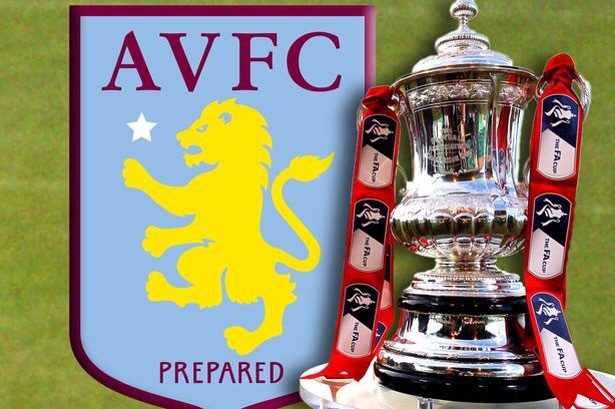 Eight of the last nine FA Cup matches involving Aston Villa have been settled by a one-goal margin. Six of the last eight have seen a 2-1 scoreline. 16 of the last 21 FA Cup finals have seen only one team find the net. Four of the five in that run where both sides have scored have been won by the team conceding first. 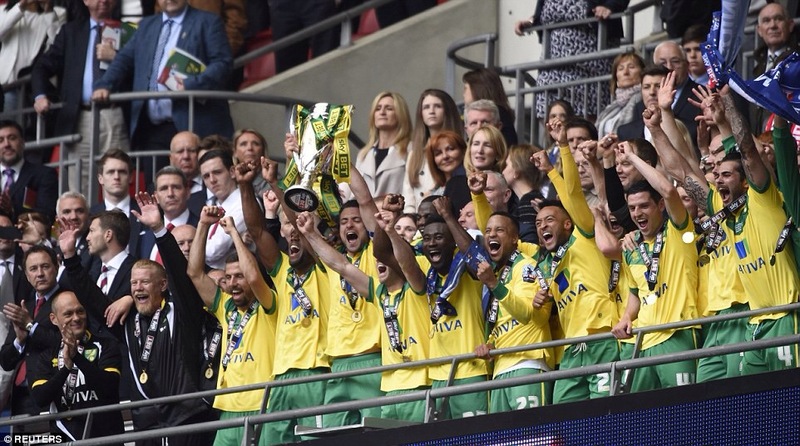 Norwich Win The Play-Off Final! 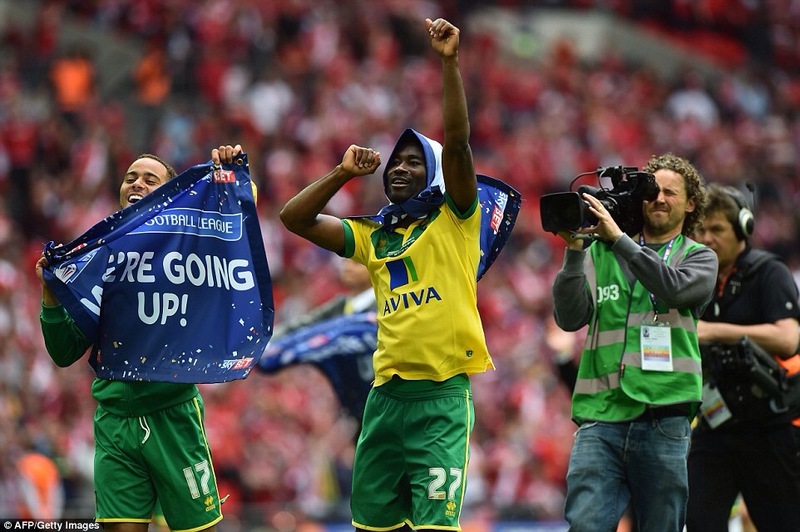 Early goals from Cameron Jerome and Nathan Redmond put Norwich in the ascendancy at Wembley and Middlesbrough could find no way back as Alex Neil’s men won 2-0 to storm into the Premier League in style. 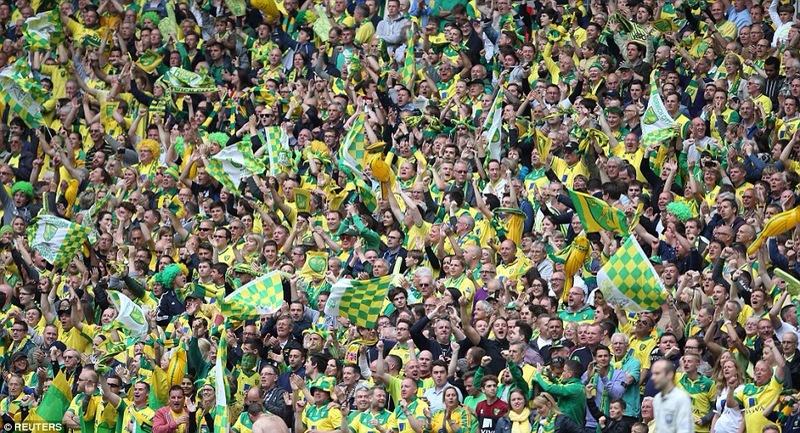 Promotion and the £120million jackpot belongs to Norwich and for their manager Alex Neil a season which started in front of a crowd of 730 ends with a glorious Wembley celebration. Cameron Jerome and Nathan Redmond struck early, with two goals inside three first-half minutes to stun Middlesbrough who never fully recovered, and secure a return to the Barclays Premier League a year after relegation. 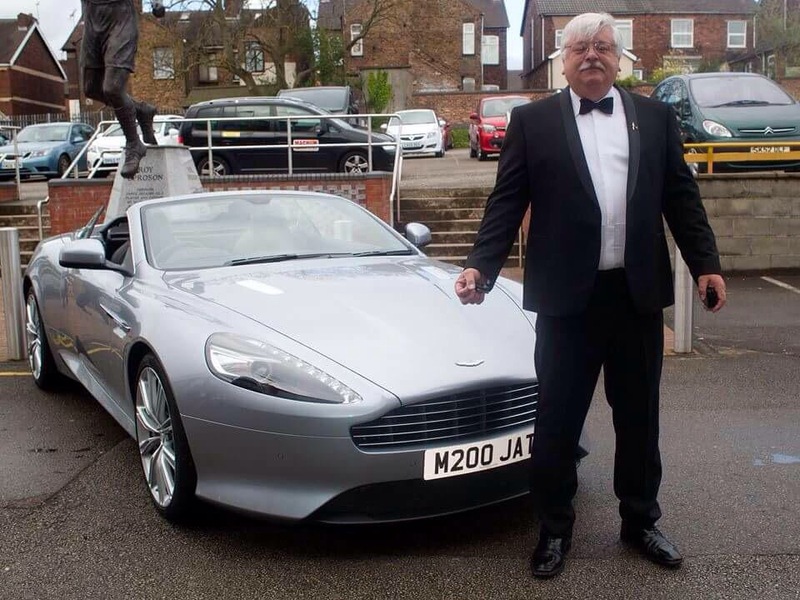 It closes a 12-month crop circle for the Norfolk club and it completes an incredible personal journey for Neil, their young manager who hails from Bellshill, the same North Lanarkshire town as Sir Matt Busby. 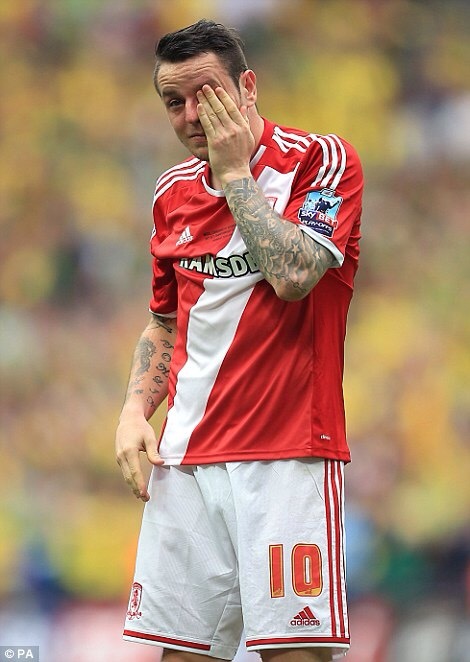 Promotion was completed against Middlesbrough, who have never won at Wembley. Aitor Karanka’s team turned up late after their bus was stuck in traffic and started too slowly in a breathless opening passage of play, when the woodwork was soon shaking at either end by thunderous volleys. There were nine minutes gone when Steven Whittaker’s cross from the right was missed by Jerome and poorly cleared by Dean Whitehead. It dropped on the edge of the penalty box to Bradley Johnson, who controlled a splendid left-foot volley which flashed past Dimitios Konstantopoulos and crashed into the bar. Jelle Vossen took the bouncing ball on his chest and volleyed it sweetly with his right foot. John Ruddy was beaten and relieved when the effort hit the bar and bounced clear. Norwich celebrated Jerome’s 21th goal of the season and Boro reflected on a sequence of defensive errors which let him in. 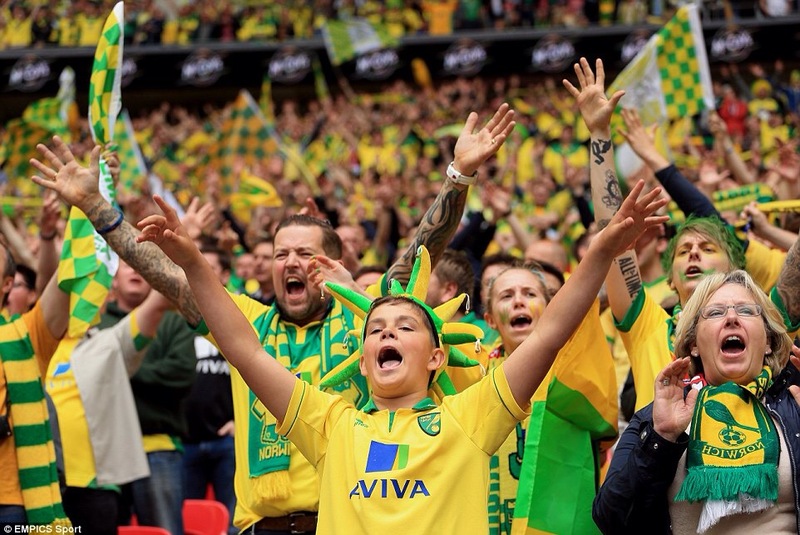 Perhaps they were still shaken by the self-destruction when Norwich struck again, three minutes later. This time, Redmond was left in space as he moved unobstructed onto a pass from Whittaker, accelerated into the penalty area and cut a low drive past Konstantopoulos. It was a classy and clinical piece of finishing from Redmond, an exciting talent who has not performed consistently in the Championship but has been influential in the play-offs. He scored in the second leg of the semi-final against Ipswich and this goal game Norwich some degree of comfort against a team that had beaten them home and away in the regular season. Vossen glanced a header wide but Patrick Bamford, the 19-goal top scorer and the Championship’s Player of the Year, was subdued. Nearly an hour had passed before he worked Ruddy, with a shot on the spin. 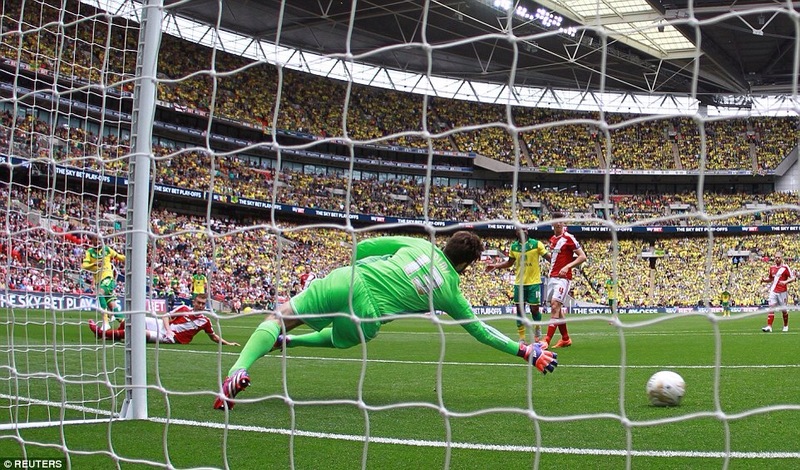 Norwich were briefly unsettled but they resisted well, and eventually made it over the line quite comfortably. Premier League, let’s be having you, as Delia might say. 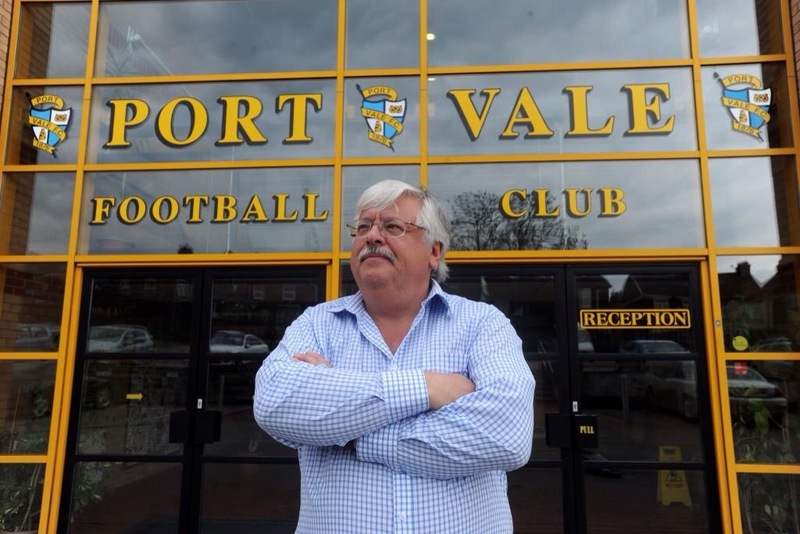 Port Vale chairman Norman Smurthwaite says the League One club’s future would have been in doubt if they had not managed to cut their wage bill.My team Port Vale have had to cut the wages of several players. Even though Norman, our chairman, has given several players new contracts, there is negative news. Wage cuts. Falling attendances have had an impact on Vale, their average home gate having fallen from 6,249 in the 2013-14 season to 5,044 in the campaign just finished. “I have a responsibility to do what’s right for Vale,” he told BBC Sport. Speaking on Sport at Six on BBC Radio Stoke, he added: “We were a further £300,000 down due to a poor cup run. That’s £900,000 down and we’re still in business. Prior to the 2012-13 season, the 2011 summer signing from Rotherham scored 29 goals in 163 league games for Crewe, Rotherham and Vale. Pope hit 31 league goals in Vale’s 2012-13 promotion-winning campaign to help Micky Adams’ men back to League One for the first time since 2008. He was Vale’s top scorer again this season with 12 goals from 31 starts, despite missing four months of the campaign with a knee injury. “I don’t want him to go,” added Smurthwaite. “He’s a great ambassador for the club, but he was awarded a contract that I wasn’t privy to. “He has a responsibility to his wife and his daughter to do what’s right for him. But my responsibility is somewhat greater than Tom’s. It’s to the future of the club. 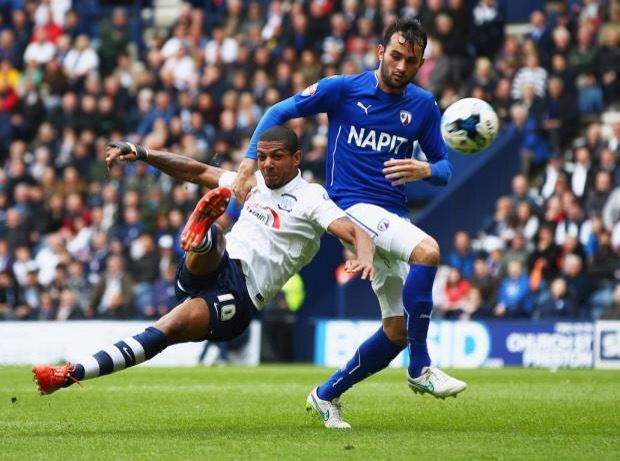 Skip to main contentJermaine Beckford capped a superb afternoon for Preston with a truly stunning goal against Chesterfield to confirm their place in the League One play-off final. The striker collected the ball in his own half before beating one man and firing a superb effort from almost 50 yards which flew over the goalkeeper and into the net to make it 3-0 to Simon Grayson’s side late on. 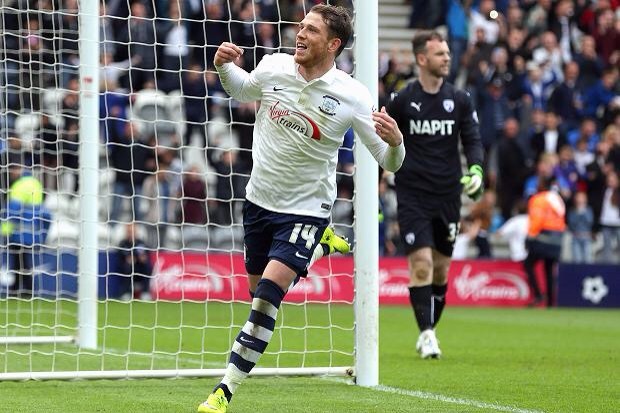 Beckford had already put the hosts in front in the first half, before Joe Garner made it 2-0 from the penalty spot just after the hour mark. North End secured a 4-0 aggregate victory over Chesterfield to book their day at Wembley as they aim to join Bristol City and MK Dons in the Championship next season. It was his goal four days ago that had given North End a first-leg lead and this was his 11th strike in 17 games since returning from a serious ear infection that he conceded had made him contemplate retirement back in February. 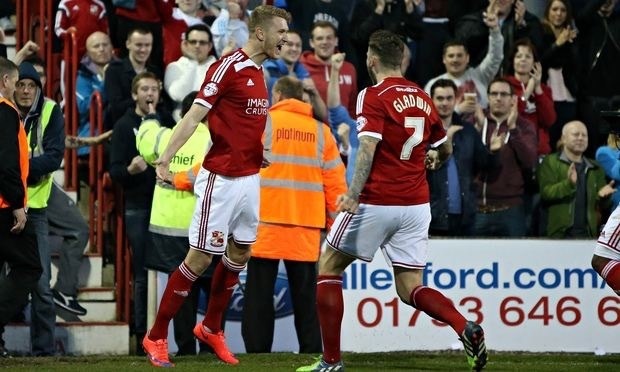 Swindon Town and Sheffield Unitedproved the point time and again last night in a pulsating League One semi-final second leg at the County Ground that ended 5-5, the highest-scoring play-off in history. It is the Wiltshire side – just – who go through to the final at Wembley, where they will meet Preston North End on 24 May. It will be Swindon’s fifth final and they have won three of their previous four. 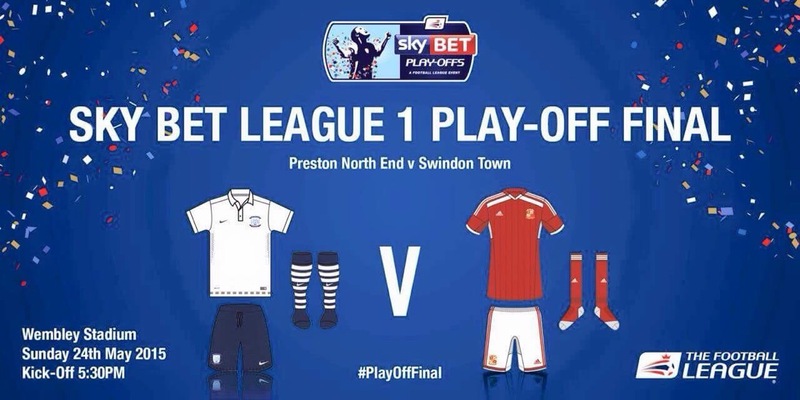 Whatever transpires later this month, against a Preston side that has yet to experience promotion in nine previous play-off campaigns, is unlikely to match the craziness at the County Ground. After 18 minutes the tie should have been done and dusted. Swindon Town led this match 3-0 and, to go with their 2-1 first-leg win at Bramall Lane last Thursday, that appeared more than enough. Not many teams come back from 3-0 adrift after 18 minutes. Nor do they recover from 5-1 down on aggregate. But United nearly did both. On the night they trailed 3-2 at half-time; then 4-2 and 5-3 in the second half; and then, in the 90th minute, it was suddenly 5-5. “It was torture,” Mark Cooper, the Swindon manager, said. “I can’t really put into words what I’ve just seen. It was just a freak of a game. I don’t think there’ll ever be another [play-off] game like that. It was like two heavyweight boxers trying to punch each other out. 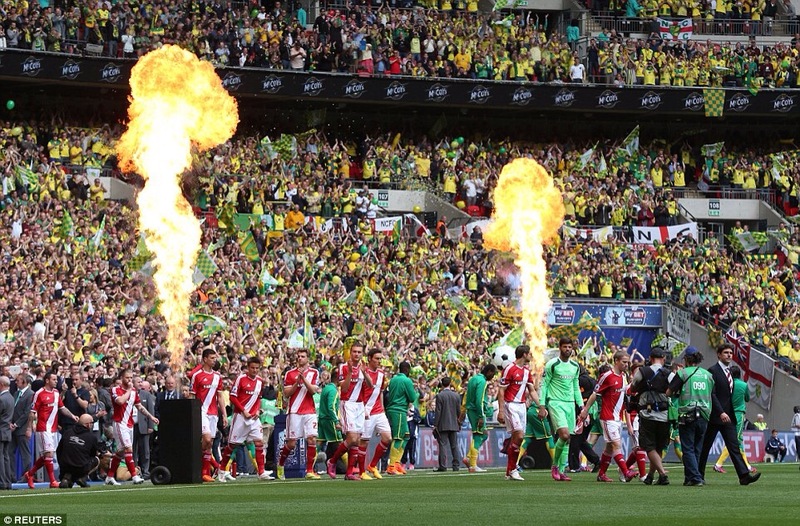 “The fact we were still going in the 97th and 98th minutes was encouraging,” Clough said. But “you cannot describe how disappointed we are,” he added. 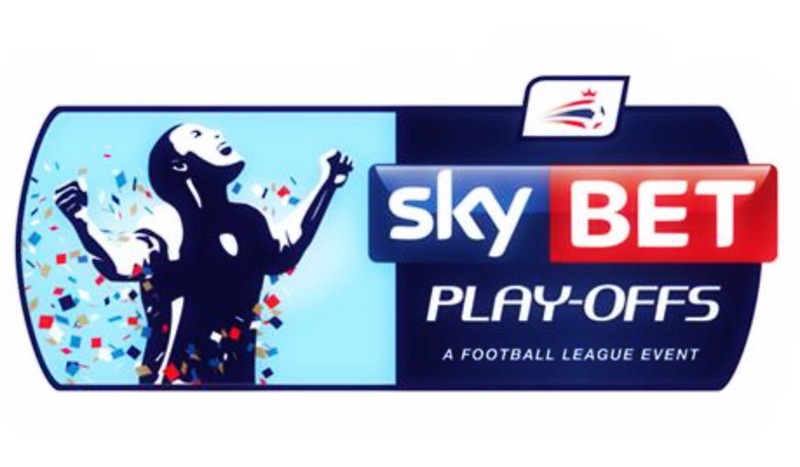 Sky Bet Football League Play-Off Semi-Finals are upon us, and the first of the action kicks off this Thursday night. The battle to reach the Championship Playy-Off Final at Wembley Stadium starts with Brentford against Middlesbrough on Friday night, as we all know The Bees have had a fantastic season, from gaining promotion from league one last year to heading to Wembley this coming Friday is a fantastic achievement. The Bees welcome ‘Boro after they surged into the top six for the championship table, on the final day in a 7:45 pm kick-off at Griffin Park. The tie will then be decided at the Riverside, just one week later, where both teams go head to head again. 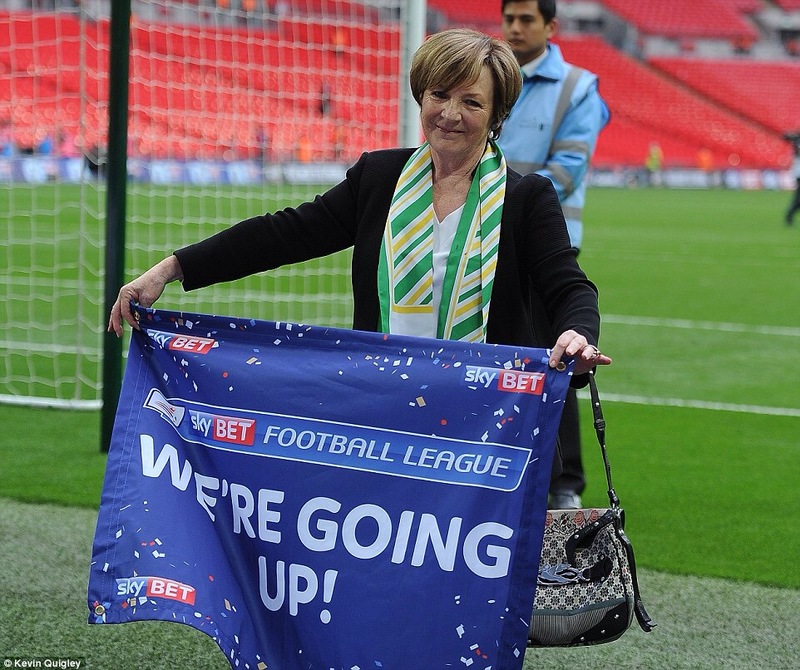 On Saturday, it’s the small matter of an East Anglian Derby Semi-Final first leg, where Ipswich and Norwich City both play each other. As you can imagine, what an atmosphere this will be. Ipswich, who just about got into the play-offs, on goal difference, host the Canaries in a 12:15pm kick-off at Portman Road. Before the contest is the decided the following Saturday. 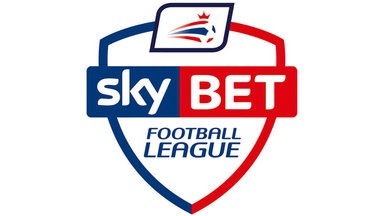 The Semi-Finals in Sky Bet League 1 kick off the play-offs on Thursday with Chesterfield hosting Preston North End and Sheffield United facing Swindon Town, with both games getting underway at 7:45pm. 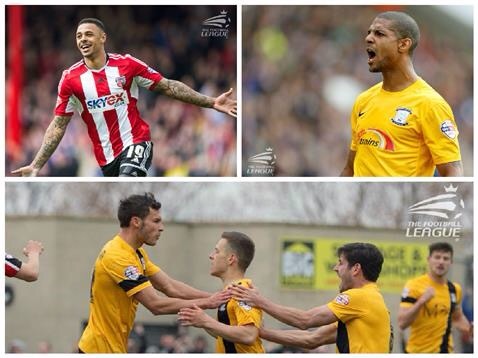 Preston And Chesterfields play out their deciding leg just three days later on Sunday, kick off time 12:15pm, meanwhile, Sheffield United and Swindon Town will settle the score on Monday 11th May, in a 7:45pm kick off time. 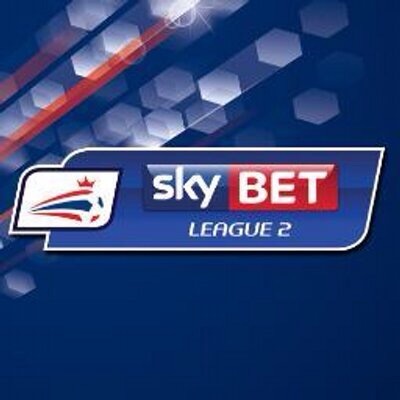 Sky Bet League two Players-Off Final proceedings begin with Plymouth Argyle against Wycombe Wanderers at Home Park on Saturday, in a game that will begin at 7:45 pm kick off time in Cornwall. 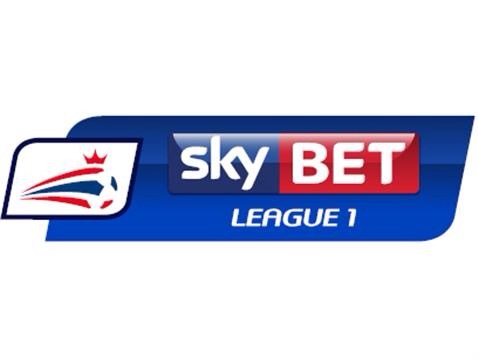 The Chairbotys ended the season in Sky Bet League two fourth after seeing off Northampton Town 3-2 on the final day. Stevenage and Southend United will contest the other Semi Final in League Two where the first leg takes place on 10th may. 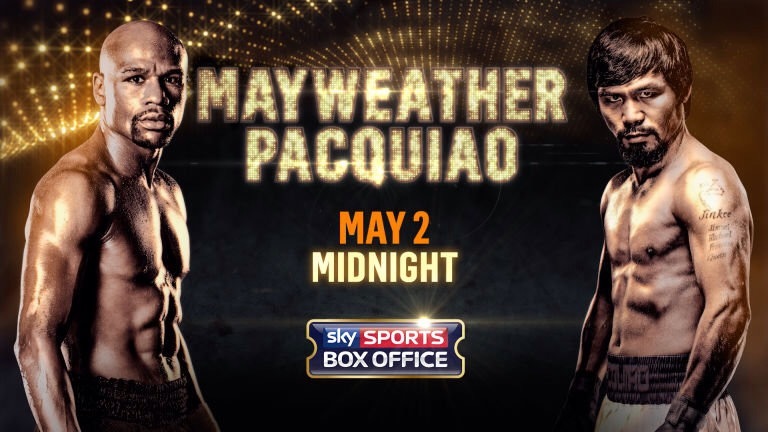 As we know, Mayweather and Pacquiao I head-to-head early hours Saturday morning, where the fight is set to be ‘one of the biggest fights in history’ – possibly the best fight in history. Let’s hope the build up to the fight is a fascinating as the actual fight will be! If Mayweather wins he will receive an estimated $177 Million dollars. Meanwhile, if Manny defeated ‘Money Mayweather’ he’ll receive $78 Million. What I don’t understand, why aren’t both boxers being offered the same amount of cash? If you ask me I think Mayweather has asked for more. For sure this will be a match which you will not want to miss! Mayweather hasn’t been tested by a fighter near his caliber in years, and he looked far from his best in recent bouts with Saul Alvarez and Marcos Maidana. But that’s not to say he has been seriously tested lately, as his controversial 2011 bout with Victor Ortiz was the last time he was questioned in the ring. 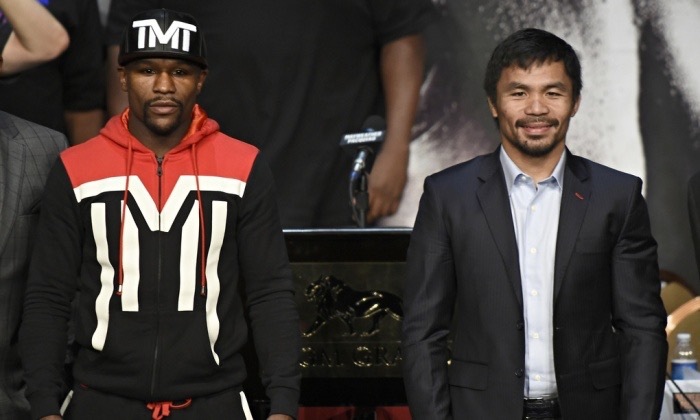 Manny Pacquiao is not the same fighter since he suffered a savage knockout at the fists of Juan Manuel Marquez, believes Floyd Mayweather’s father and trainer. 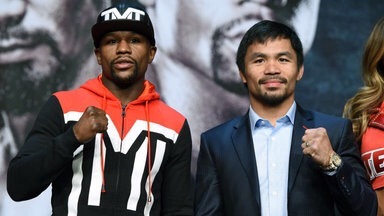 Saturday’s fight in Las Vegas is the richest in boxing history and is expected to generate in the region of $332m.